Taurine is not considered an essential amino acid for dogs. This is because some dogs can naturally process it in the body from the dietary amino acids cysteine and methionine. And, since taurine isn't considered an essential amino acid, AAFCO dog food nutrient profiles establish no minimum requirement for taurine. With that said, some breeds may required taurine added to their diets if they have a deficiency related to heart related medical conditions. A taurine deficiency may contribute to the incidence of dilated cardiomyopathy (DCM) in genetically susceptible dogs. The evidence points out that a grain-free/low-protein kibble in certain breeds of dogs increases their risk for taurine deficiency-related DCM. As the name suggests, Taurine deficiency is the lack or inadequate measure of taurine in the body. This condition affects both cats and dogs but manifests in different ways for each. Usually, dogs can process this amino acid, but if the ability to process is impaired, then you must provide this amino acid by feeding them high-taurine foods. What Causes Taurine Deficiency in Dogs? Genetics is one of the primary causes of taurine deficiency in dogs. Some dog breeds are more predisposed to developing this condition from a genetic disorder. In this case, dogs that get this condition need a special diet containing taurine. In addition, Cystinuria is a genetic disease that predisposes the dog to the deficiency. It can interfere with the absorption of amino acids in the body resulting in reduced uptake of taurine and other amino acids. This condition also causes kidney stones. Since this is a genetic condition, you cannot do much to prevent its impact on your dog’s health. Are Certain Breeds More At Risk of Developing Taurine Deficiency? As mentioned above, one of the primary causes of taurine deficiency in dogs is genetics. Some breeds are not able to synthesize the amino acids due to some genetic malfunction or defects. In addition there are some breeds or breed mix known to be susceptible to Dietary DCM. Here are the breeds of dogs that are at high risk. Thus owners need to supplement this vital amino acid in their pet's diet to help prevent the occurrence of the condition. That means giving foods that are high in taurine to boost its availability in the body. However, it is important to note that some foods are not advisable for these types of dogs. These include lamb and rice, high-fiber diets and low-protein meals. Studies show that animal muscle tissue, specifically marine animals, are rich in taurine, whereas plant-based ingredients has either low or undetectable amounts. Grain-free low-protein dog foods are very high in carbohydrates, which displaces amino acids. If you have breed or breed mix susceptible to DCM try supplementing a can of sardines into your pet's meal once a week to ensure your pup gets sufficient levels of taurine. Evidence suggests that raw or lightly cooked meat, poultry (turkey and chicken), and (white) fish have significantly higher amino acid bioavailability and digestibility. How Can I Tell If My Dog Has Taurine Deficiency? Here are the symptoms to look out for in a dog with taurine deficiency. 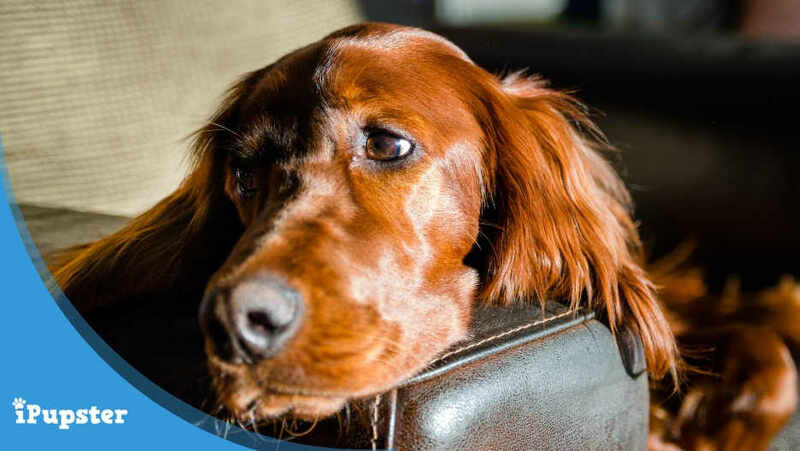 Hyperthyroidism has been identified as a potential cause of DCM in dogs and and DCM in these dogs can be reversed by a corrected diet and following thyroid hormone replacement therapy. How is Taurine Deficiency Diagnosed? If you notice the symptoms, it is essential to seek medical attention. You will need to provide a thorough medical history of your dog. That will include how long the dog has suffered the symptoms and how intense each is. This information is essential to rule out general disorders that your dog could be having. Your veterinarian will do a complete physical examination of your dog. One of the significant interests is at the heart condition where the veterinarian will check the pulse and any restlessness. Urinalysis may reveal some changes in the urine due to Cystinuria. It is condition that affects the normal absorption of amino acids. Some breeds suffer from this condition which has symptoms such as blood traces in the urine. In such a case, the disease is treated on its own. Once the vet ascertains that Cystinuria is the cause of taurine deficiency in your dog, they will send a blood sample to the laboratory. It is essential for the evaluation of blood taurine levels which in this case tend to be low. If a heart condition is present, the veterinarian will request for chest X-rays and other measures to evaluate the extent of the disease. If you suspect your dog is displaying signs of DCM already, urgently seek to see a cardiologist and have an echocardiogram and taurine testing obtained simultaneously — do not change their diet, or supplement prior to the appointment. Additionally, damage to the retina is a prevalent symptom in dogs with taurine deficiency. In such a case, your vet will conduct a detailed eye examination to ascertain the level of damage that has occurred. If any, he/she will advise on appropriate treatment. How is Taurine Deficiency Treated? Taurine deficiency treatment will vary with the cause of the condition. As seen, there are different symptoms that a dog with this condition manifests. Some of these symptoms may not necessarily mean that your dog has Taurine deficiency. Therefore, this might call for prior treatment of underlying conditions. Depending on the extent of symptoms and the Taurine levels in the blood, your vet will advise on immediate measures to manage the condition. For severe cases where the heart and kidneys are affected, your vet will take additional measures to treat that first. If there are kidney stones, a surgical procedure will be done to remove those since they are too big to pass on their own. Generally, Taurine deficiency treatment starts by attending to individual symptoms and underlying conditions. If overlooked, it might bring about a relapse of the disease. Treatment involves increasing taurine intake by supplementing it in the diet. Your veterinarian will advise on appropriate dietary changes that you will take to ensure an adequate supply of taurine. You will need to give your dog specific food as instructed by the vet. Depending on the breed and condition of your dog, you might have to supplement taurine all through until your vet tells you otherwise. After treatment starts, there are measures that you will need to put in place to ensure proper recovery. As you manage the condition by increasing taurine in the diet, you should note that too much of it is also dangerous for your dog’s health. Therefore, it is essential to follow the correct amount at specific times as instructed by the veterinarian. You must administer the dosage daily until the vet directs you to discontinue. During the recovery process, your veterinarian may also prescribe other medication to manage symptoms. It is essential to ensure that the dog is well-hydrated especially on diuretics. Therefore, you should provide clean water at different points in the house to ensure your dog has instant access to water. Additionally, keep in touch with the veterinarian and communicate any strange behavior or symptom. Share Your Experience: Have a story about Deficiency of Amino Acid Taurine in Dogs? Share it with us by leaving a comment below.